Experiment 221 is the end result of yet another experiment of Dr. Jumba's. 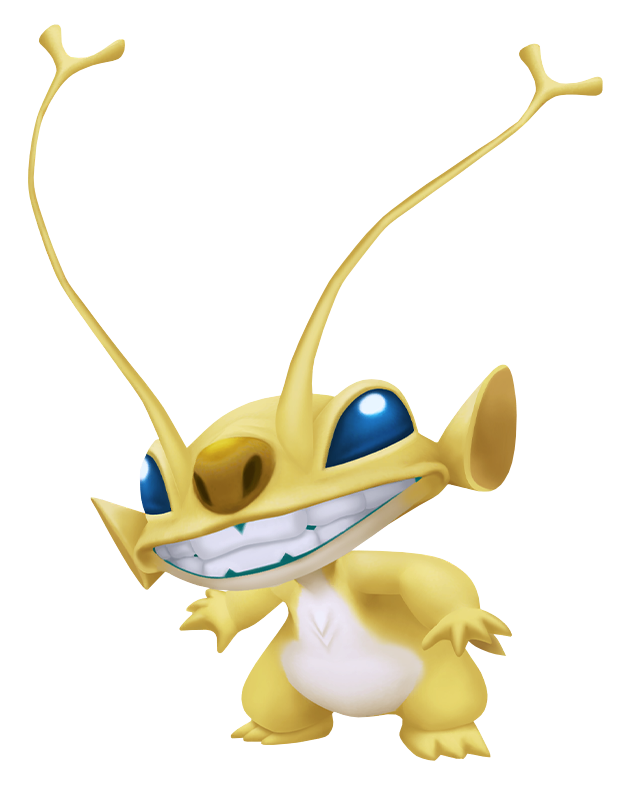 Experiment 221's small yellow-furred body is charged full of electricity allowing him to unleash electrical charges as well as the ability to manipulate other electrical objects. Experiment 221 is very energetic and very fast. In Birth by Sleep, Terra is the only one to come face to face Experiment 221. When Terra questions Experiment 626's evilness, Jumba is affronted and proceeds to drop a small green pod into a vile of water, at which point Experiment 221 is unleashed. Terra then attempts to contain the agile experiment that is attacking him. Experiment 221 attacks Terra with a variety of electric-based attacks and also manipulates the laser blasters in the room to shoot at Terra. Only when Terra defeats Experiment 221 does he revert back into him pod form, at which point Dr. Jumba reassures the experiment that everything will be alright.